Our work is a direct response to the needs of each community we serve. Not only do we live, work, and play in New Mexico communities, but we work closely with elected leaders, community organizations, government agencies, families, and schools to identify the needs and priorities within each community so RMYC can respond as quickly as possible. In many cases, community leaders approach RMYC to form partnerships, identify financial resources, and put youth to work on a variety of community service projects. In other cases, RMYC staff will identify an opportunity based on research and in full collaboration with project partners. We also have a standing committee of RMYC staff who brainstorm possible project ideas so we can diversity our programs and respond directly to the unique needs of each community. As a result of our efforts, RMYC offers a variety of programs to serve the specific needs of each community. Here are a few examples of the programs we offer. 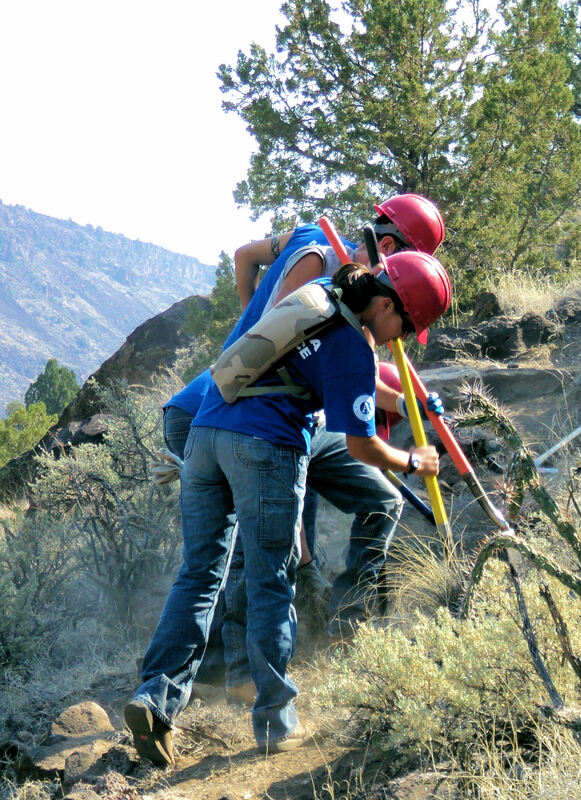 The RMYC Upper Rio Grande (URG) Program offers paid community service opportunities in a variety of conservation-based projects working in partnership with federal, state, tribal and local land management agencies. Projects may include a combination of trails construction, erosion control, invasive species control, forest restoration, and fire prevention activities. Throughout their service at RMYC, Corpsmembers receive on-the-job trainings and other personal and professional development opportunities. Crews work on a ‘spike’ schedule – working and camping 8 consecutive days in the field followed by 6 days off; alternatively, crews work on a daily schedule Monday through Friday and return home at the end of the day. Crews typically work during the fall season (September thru December), summer (June thru August), and spring (April thru August). During the summer, the URG Program provides young adults between the ages of 17 and 25 with paid community service opportunities in a variety of small communities throughout the upper Rio Grande region. Summer crews run between June and August in order to provide employment opportunities to Corpsmembers interested in a summer work experience. Projects are diverse and typically centered around environmental stewardship, public park enhancements, and land restoration. Similar to the URG Program, the Middle Rio Grande (MRG) Program also provides a variety of paid community service opportunities in conservation-based projects; however the URG office offers opportunities dedicated to the deaf and hard of hearing community known as the American Sign Language (ASL) Inclusion crew. Another program unique to the MRG office is the Youth Ambassadors. Working in partnership with Valle de Oro National Wildlife Refuge, RMYC recruits six young adults, known as the Youth Ambassadors, whose mission is to inspire their community to learn about, and get out and appreciate, the wealth of public lands and recreation opportunities that the middle Rio Grande region has to offer. So far, they have been busy engaged in community events around the Albuquerque area, providing environmental education workshops at local schools, and partnering with other groups to promote and improve our public lands. New in 2018, RMYC works in close partnership with Not Forgotten Outreach of Taos to support the VetCorps. The VetCorps engages veterans and their families in agriculture eco-therapy programs in Taos. VetCorps provides veterans and their families with a paid opportunity to serve again through their second mission: providing healthy, locally grown food to the children of the community of Taos. VetCorps partners with other local organizations to provide training in agriculture, military-to-civilian transition services, peer-to-peer mentorship, service dog training, financial management, and more. Also new in 2018, RMYC initiated the Canine Assisted Leadership Crew to provide paid work experiences for youth ages 15-22 whom have barriers to employment, such as disability or health conditions, themselves. The Canine-Assisted Leadership Crew members and their service dog they are training will also be Camp Counselors at Camp L.E.A.D., a leadership, empowerment, and abuse prevention day camp in Taos for younger children with disabilities. 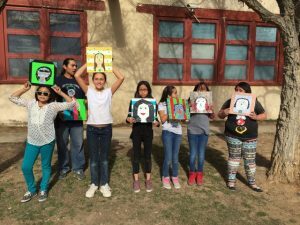 Rocky Mountain Youth Corps operates the Learning Lab program as an integral part of the juvenile justice and mental health services in Taos County. In partnership with area schools, we provide temporary educational alternatives for youth who have been referred to the juvenile justice probation office or who are at high risk of such a referral due to fighting, truancy, substance abuse or other disruptive behaviors. The Learning Lab serves up to 16 youth per year, ages 12-16 years old, providing an alternative educational placement and asset-based positive youth development. No more than 8 spots are available in the Learning Lab each semester, allowing for intensive one-on-one academic and social/emotional support. 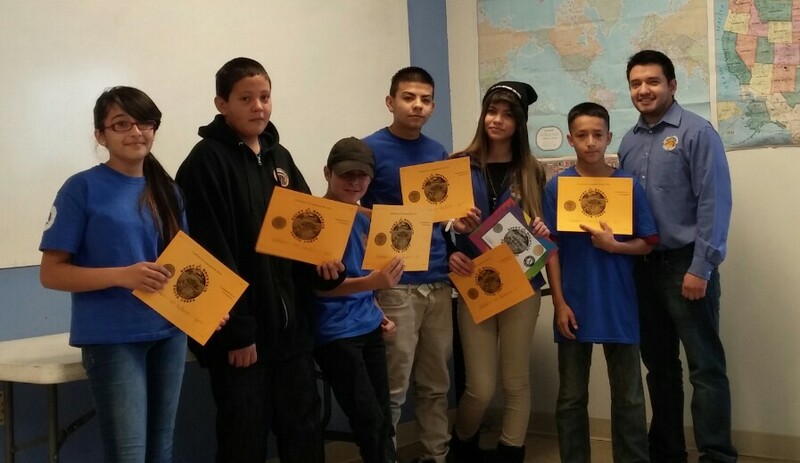 With the support of a grant through NM Department of Health’s Office of Substance Abuse Prevention (OSAP), Rocky Mountain Youth Corps’ Prevention Program is working to reduce underage drinking, driving while intoxicated, and alcohol outlet density in Taos, NM. Using environmental strategies such as radio and print PSAs; Responsible Beverage Service training for bartenders and waitstaff; and working with local law enforcement officials on saturation patrols and DWI checkpoints, RMYC strengthens the community’s perception of risk and consequence for harmful substance use. Additionally, RMYC staff administer two statewide community surveys per year for Taos, one that measures the general population’s perception of risk and consequence, the other that measures local middle school and high school youth risk and resiliency factors. Data from these surveys is shared nation-wide.